Ukraine – Russia. 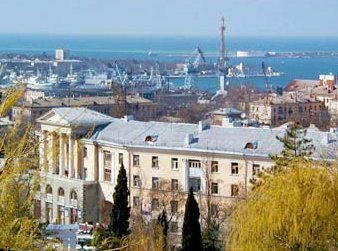 Sevastopol, perhaps the most absurd city in the world. 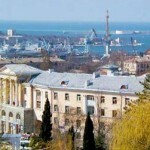 “Sevastopol belongs to Ukraine, but hardly anyone here is Ukrainian. Two rival fleets ride at anchor in its majestic harbour. Two rival flags fly from its public buildings… the city has gone from being a sort of Stalinist Sparta, austere and warlike, to a seaside Babylon of pizzerias and nightclubs…. Ukrainians force Russians to turn their back on their language and change their names”. See also : Кому принадлежит Севастополь? EuropaRussia; Ucraina-Russia. Sebastopoli alla Flotta del Mar Nero per altri 25 anni EuropaRussia.